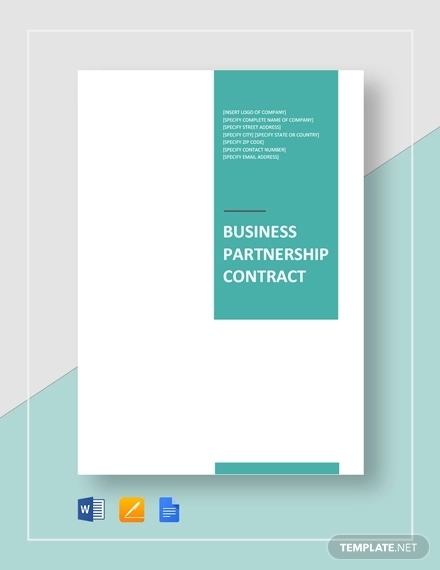 Partnerships allow the potential of any business existence become more realistic. With the help of each partner, may it be through the aspects of finances, management, and usage of particular resources; it will be easier to execute business or project plans. However, with the ease that comes with partnership transactions also allows the existence of partnership disputes to occur. 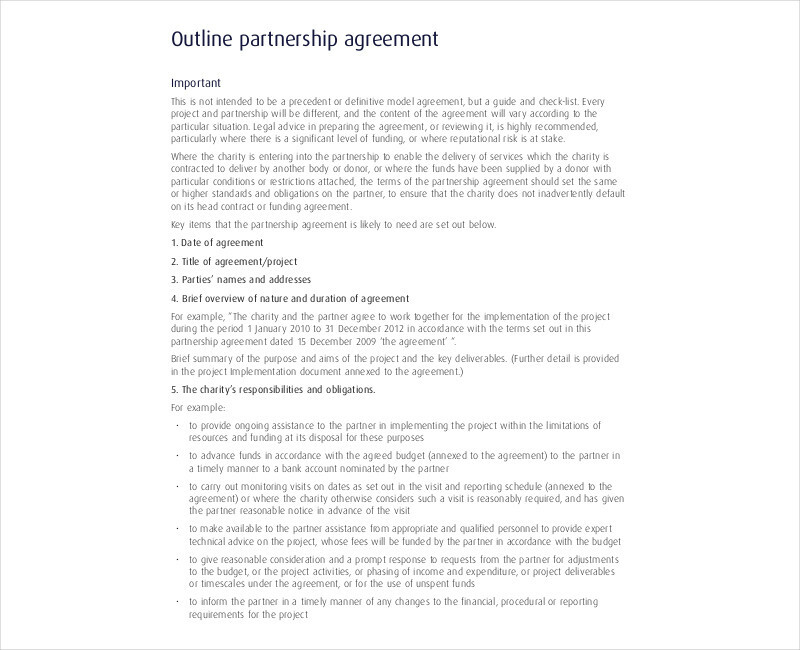 With this, it is important for a partnership contract to be made. 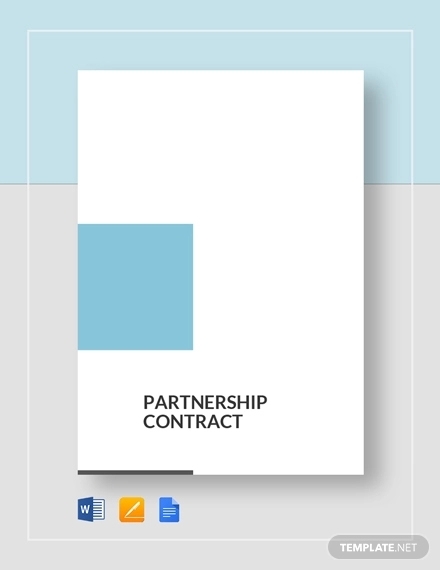 A partnership contract is a Simple Contract that clarifies the limitations and scope of the partnership agreement. 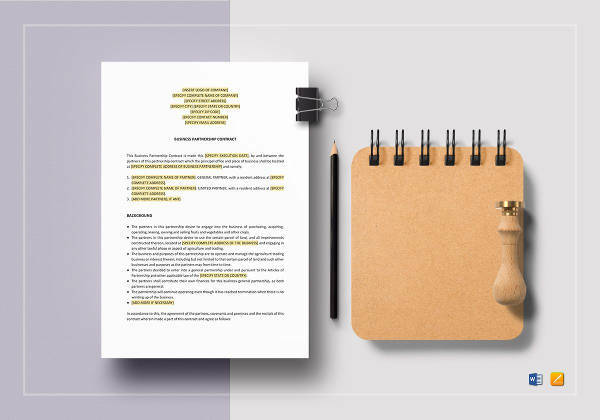 Just like an Investment Contract, it contains information that allows each entity involved in the agreement to be aware of the appropriate expectations that they should have with one another. 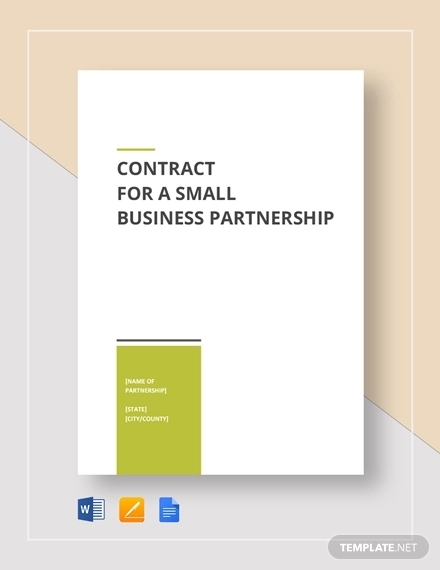 If you want to know how to create an effective and comprehensive partnership contract, browse through the examples available in this post. 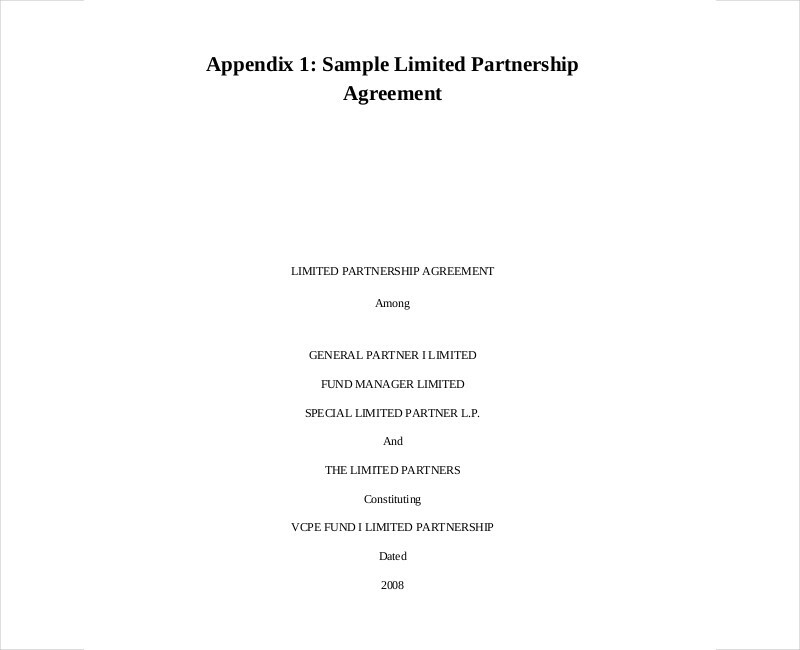 The definition of the partnership authority allocation. 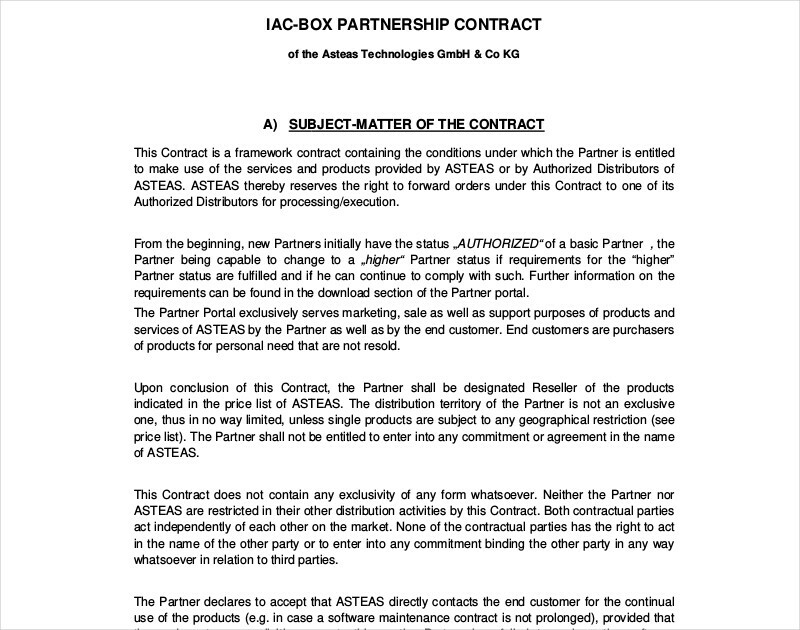 You ay also see band contract examples. 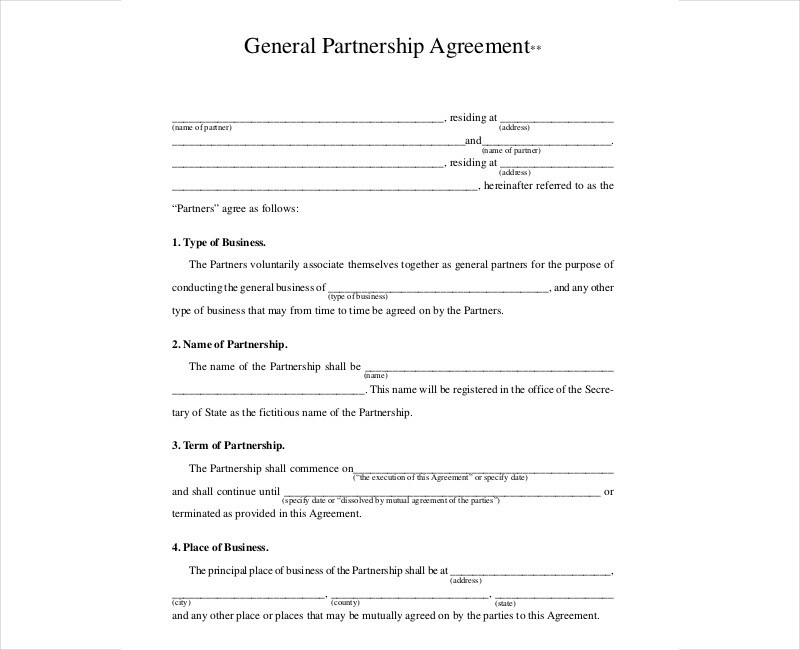 Make sure that the written partnership contract is based on the actual agreement of each partners. 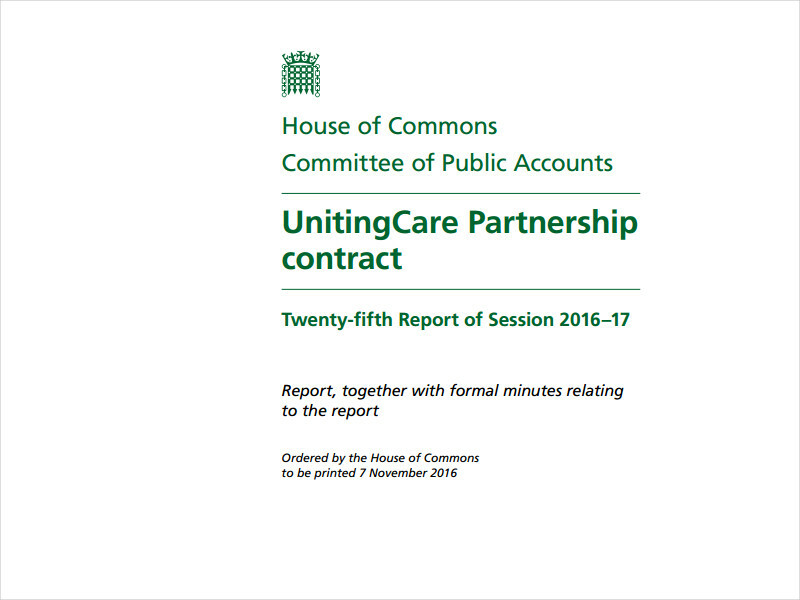 Ensure that all partners are aware of the uniform partnership act and other regulations and lawful acts relevant to the partnership. 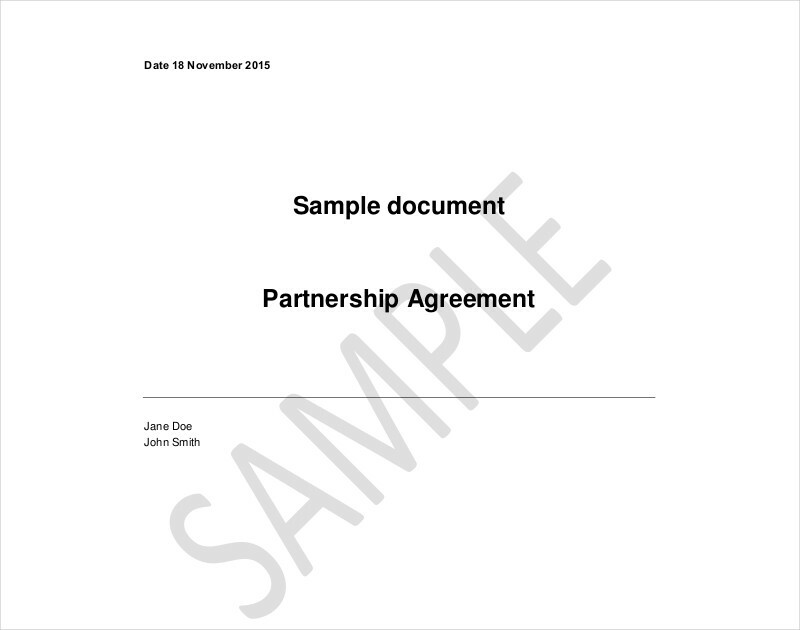 You may also see printable agreements in pdf. 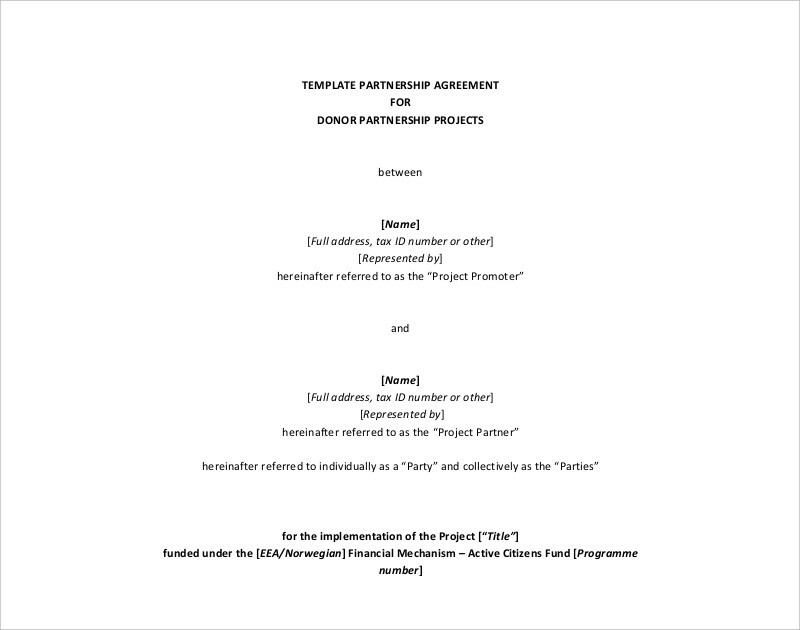 Start with a draft that can specify all the items of the sample agreement. 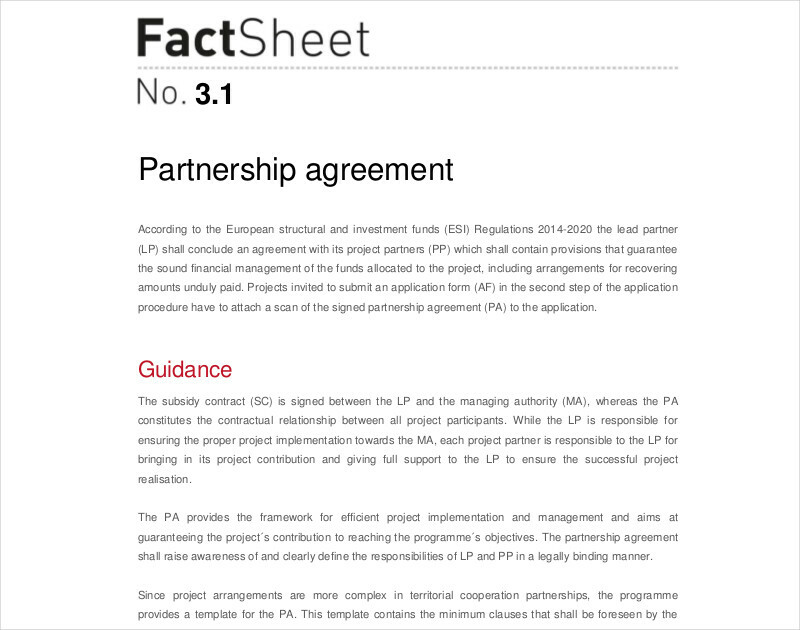 This can help all partners be knowledgeable of the information that will make it to the actual contract. Always consult with a lawyer or any legal entity. It is essential for transactions that involve partnership to be guided accordingly. 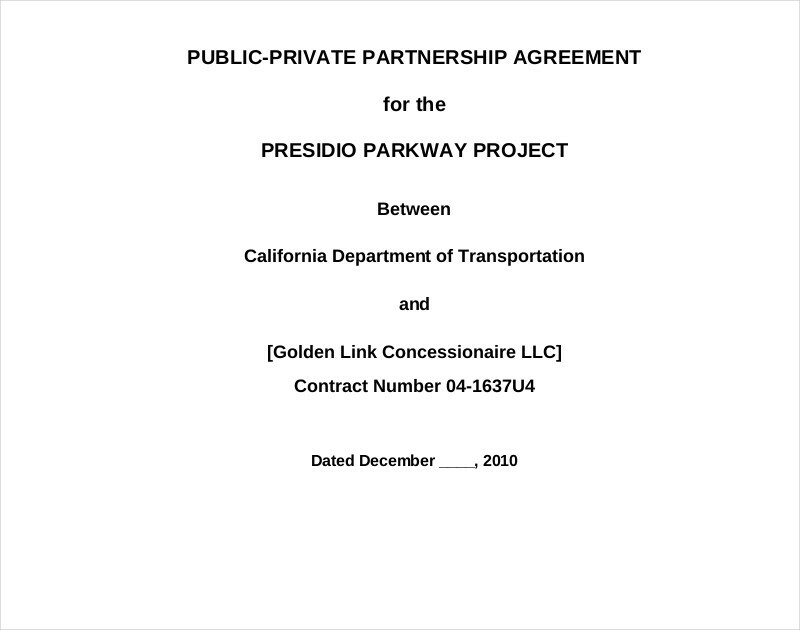 You may also see contract proposal examples. Feel free to use the downloadable examples available in this post as your references. 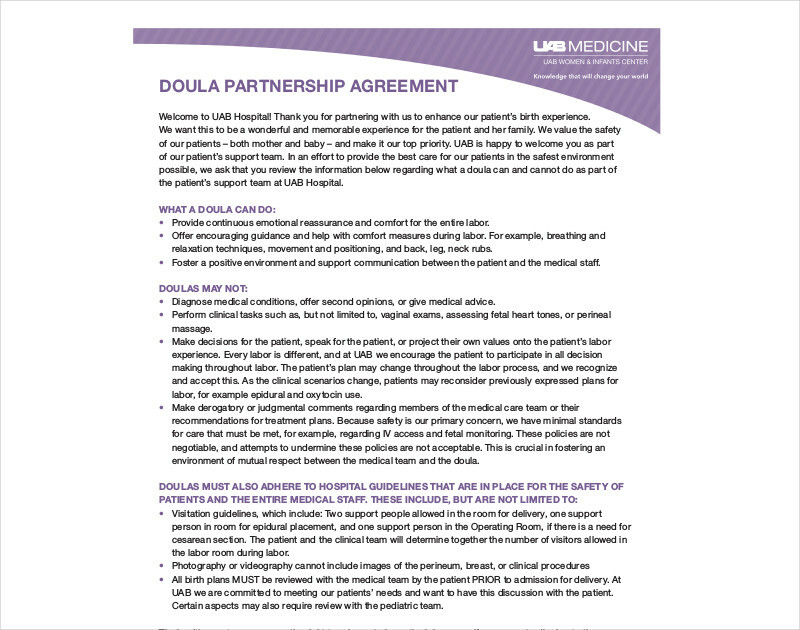 Having legal document guides can make the development of a partnership contract more effective, time-efficient and successful.